Ukraine’s President Petro Poroshenko informed about the progress in the introduction of the peace-support mission in Donbas. The Head of the State said it in the interview for Handelsblatt, a German newspaper, as the President’s Administration reported. Poroshenko noted that there is a progress in the introduction of the peace-support mission in Donbas compared with 2015. “When I have requested the UN to sent “blue helmets” for the first time in 2015, everyone disagreed. Our American and European friends had doubts as well. 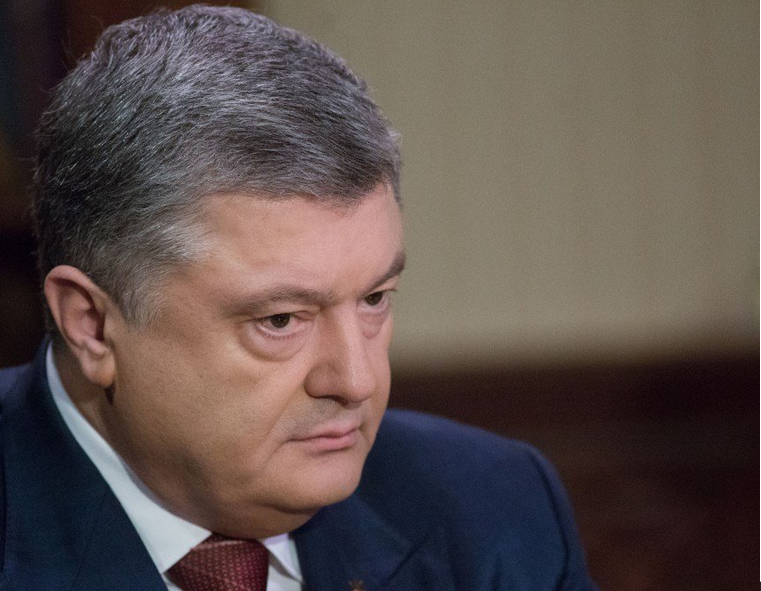 When we met with Trump and in June in 2017 he confirmed that he was ready to support such UN mission to liberate a part of Ukraine from Russian occupational troops,” Poroshenko said. Poroshenko has also pointed at the differences between Ukrainian and Russian positions concerning the peacemakers. “Russia intends to site the “blue helmets” along the contact line so that they do not impede the occupational troops. This is unacceptable. Later Russia agreed that they work along the entire territory, but in Russia’s idea they have to accompany the OSCE monitors solely. We want the peacemakers to disarm the illegally armed formations, protect local residents and exert control over the military equipment supply and rotation. And they have to control the part of Ukrainian-Russian border, which is temporarily not under the Ukraine’s control,” Poroshenko said. He added that Ukraine needs unity and stability of the European Union and solidarity with our state. “Most of all we need a united and strong EU, and the solidarity with Ukraine, and for now we need the UN peacemakers to be transferred to Ukraine,” Poroshenko concluded.